Booted Dudes podcast interview with Pinebox + two spoilers! Some highlights from the booted dudes interview with Pinebox entertainment. Two spoilers! Link below. The Morgan Lash here is a young version according to the interview, so we might see another version later with a high Huckster rating. The "Name a Card" Outlaw tournaments will be covered by Pinebox, as AEG didn't get a chance to do these. Continuity in the design team as Emre was part of the old design team. 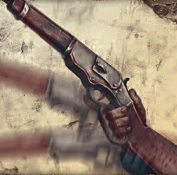 Rounding out rough edges on Law Dogs was mentioned as an issue, for example one of the previewed cards helps make dudes wanted to trigger your other cards. This will help people branch out from the core home. Slower release schedule aiming to fully flesh out new archetypes rather than rapidly introduce them. Everything will be compatible with existing cards. Creatively, not anchored to Gomorra alone. Story is to some extent a prequel and features Pancho Castillo. Expanding in to the larger Deadlands universe means that the Gang icons are now more a broader theme in flavour and mechanics. 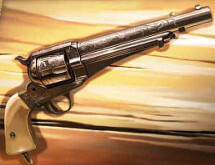 For example, crossed pistols include more outlaws. Note that the Gang names are staying, they're still the "Sloane Gang" that you know and love. Will have OP kit, working on something for the set's launch. Then GenCon and European Championships. Then working on something for OP subsequently and deciding how to distribute OP Kits, want to reward tournament organisers and stores. Realise how important OP is to the community. Errata versions of cards - not having a normal release schedule will make it tougher, but working on promo errata versions or a similar idea. Don't want to cost the players and clearly keen on this topic and engaged. Love the new Law Dog. Throw 1 bounty on to 0-influence dudes. Boosts your economy if your opponent uses these dudes as bullet catchers or keeps them out of shootouts, boosting your chances of killing/discarding a more meaningful dude. There are quite a few 0-inf dudes that will be very popular targets - Maggie Harris, Willa Mae, Travis, Jakey Smiley, Ambrose Douglas. I've doubtless missed several. 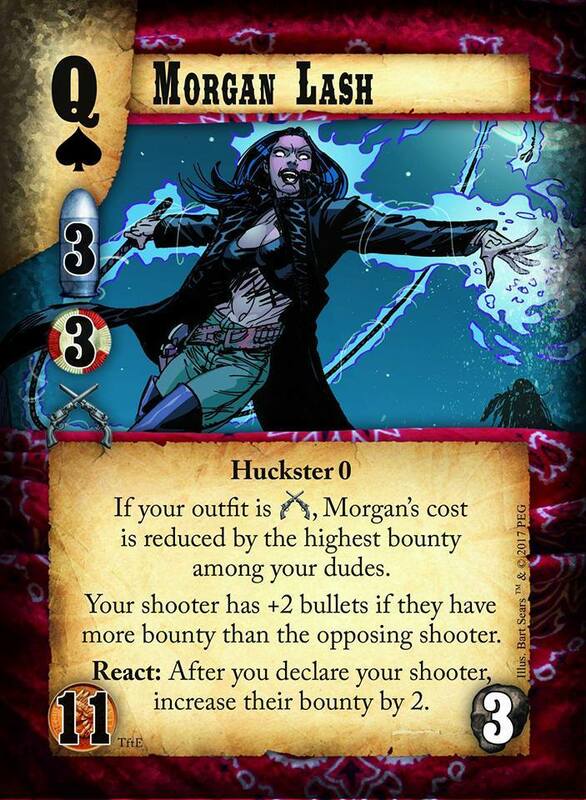 Throw bounty on to high influence dudes and get it back with Gomorra Gazette, rather than booting all your dudes to make Max Baine (original) or other high influence Morgan dudes wanted. You can finally use all your wanted abilities/traits in The Arsenal/Justice in Exile/Abram's Crusaders. Some risk if he perishes, but if your opponent comes after him they'll have made a big chunk of their dudes wanted anyway via their kidnapping/Ambush/calling him out at at home. Look forward to seeing a broader range of LD homes. Obviously he's a little bit more expensive than Phil and isn't a deputy, but I look forward to seeing him in action and the new LD decks he enables. Have been out of touch with Doomtown for a while. Man, this just spiced up a bland and boring day like crazy! Dr Dayl and the whole law dog MS theme becomes a lot more playable with Stewart. I'm looking forward to my new robocops deck. Pleased you had a good surprise to come back to! It is good to see people excited about the game here and on Facebook etc. The booted dudes podcast is well worth listening to in full, lots more interesting bits and pieces than my brief summary covers, I didn't want to overdo my notes and discourage people from listening. Stewart looks great. He is a solid enabler. Some of his stats are weak, but most important is his 0-upkeep 1-influence. And the ability, of course. As for Ms. Lash, holy hell, she's pricey! Probably prohibitively so for most decks, unless we see a shift in tempo or cost structure. But she is badass! Is Sloane turning into the superfriends faction? Maybe we'll get some use out of "A Piece of the Action" after all! Morgan making a Serendipitous Arrival into a Des Row shootout also sounds like a nasty surprise to spring. I'll confirm this from live tournament play. I regularly got Alice Stowe/Nicodemus/Pancho Exp/Sloane Exp in to play with my Des Row decks in Huddersfield & York. Wasn't too tough to get Morgan out in Playtesting either. The former three have a similar cost to Morgan Lash once you allow for the wanted discount that Desolation Row pumps out alongside the GR from the job itself. I know she looks pricey, but I encourage people to give peace a chance/give Morgan a try in Desolation row and she if she feels more affordable. The 11GR is intimidating, but live play shows she's even recruit-able on T2! She may work very well with Pancho xp1 since she checks for highest bounty, and pancho draws bounty to him when played. 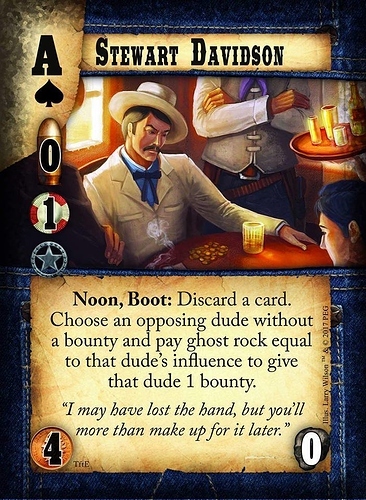 Than during a shootout he can send a dude home booted, and increase his bounty while being a 5 stud shooter. 5 GR between the two of them is hell of a lot of upkeep, though. Really psyched about Doomtown's continuation! I've been hungry for the booted dudes podcast as well. It's a good time to get into Doomtown. Serendipitous Arrival is such an under rated card, there a couple combos with it that are just absolutely brutal.